Please contact the event sponsor to verify the time/date/location of each class or VE session! Tech Snohomish Valley ARC Duvall Fire Station 15600 NE 1st St. Duvall Registrations are limited to 40. Please RSVP to guarantee your spot. This a free 16 hour, two day course, with the $15 Licensing Test at the end of the second day. May 18 and 25, 2019 from 9 AM to 5 PM both days. The course is a free 16 hour, two day course with the $15 Licensing Test at the end of the second day. October 4th, 6pm to 9pm. October 5th, 9am to 6pm. October 11th, 6pm to 9pm. October 12th, 9am to 6pm. Exam session Sunday October 13th at 12 noon. May 4th & 5th ACES Basic Shoreline Link to Flyer Registration. Note: Most licensing classes and hamfests include VE sessions. Contact class sponsors and hamfair staff to determine if tests will be included in their event. (Next to the new Walgreens Pharmacy) Time: 10:00 am. Walk-ins allowed. $15 test fee (cash or check). Time: 10:00 am. Walk-ins allowed. $15 test fee (cash or check). Please keep your listing concise with just the dates, name of the sponsor, location, brief comments and contact information. If possible, provide a link to your club web page with full information about the class. This allows the club to update the listing as necessary. Another option is to provide a link to a class flyer in PDF. Disclaimer: I do my best to keep up with scheduling changes on these events, but there is always the chance that one will be canceled or re-scheduled and I will not find out about it. I suggest that you verify all dates and locations with the sponsor. If you find any inaccuracies, please contact me at . Thanks! All materials on this site are copyrighted by the author. Unauthorized use is prohibited. For permission to reproduce anything on this site please contact the webmaster. Please feel free to link to this web page. 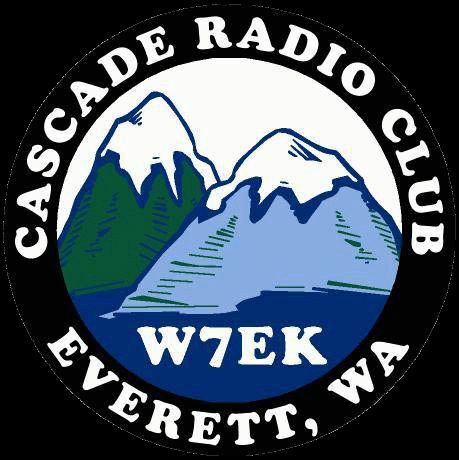 If you use this page as source material for club newsletters or other publications I request that you cite the source with the statement: "Source: Western Washington Amateur Radio Licensing Classes and Examination Sessions at http://www.n7cfo.com/amradio/hf/cls&ve.htm ".